The Federal Reserve Bank of Atlanta selected DPCI to implement a solution to extract creative content from QuarkXPress in postproduction, convert it to XML format, then submit it to The Feds existing Spectra repository where it is available for publishing to other formats. The Federal Reserve Bank of Atlanta is part of the central bank of the United States, also known as The Fed. The Atlanta Fed and the other eleven Reserve Banks play a critical part in all three of the Fed's functions-monetary policy, bank supervision and regulation, and the operation of a nationwide payments system. The Bank has a staff of more than fifteen Ph.D. economists with expertise not only in the area of regional and national economics but also in finance and international trade. These economists keep abreast of economic conditions to brief the Bank president and directors. They also conduct more basic research to gain a better analytical understanding of current issues. The Bank's research and expertise is shared with the public in various ways-in publications, through speeches, participation in public policy organizations like task forces on local infrastructure and commissions on state tax reforms, and sponsorship of conferences on current policy issues. 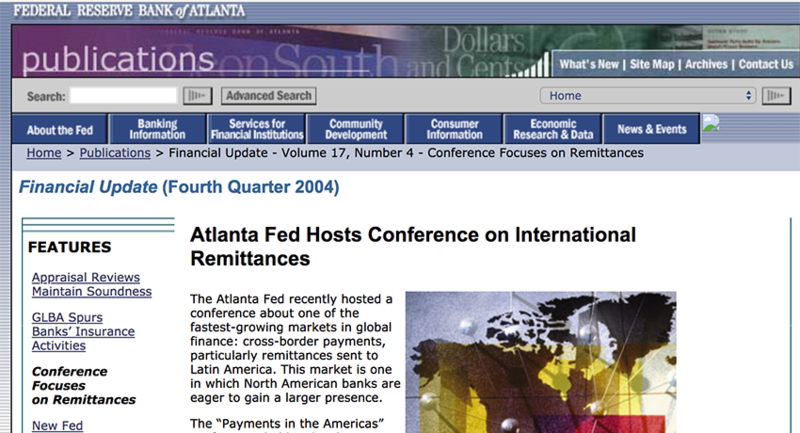 The Atlanta Fed sought a way to dynamically create Web versions of its print publications while utilizing its print production software, QuarkXPress, and web content management system, Macromedia Spectra. The goal was to intraconvert content for print, web, or other media. The Atlanta Fed selected DPCI to implement a solution to extract creative content from QuarkXPress in postproduction, convert it to XML format, then submit it to The Feds existing Spectra repository where it is available for publishing to other formats. DPCI met The Fed's objectives using EasyPress Technologies' Atomik XPort along with an XSLT processor built by DPCI to transform the content to XML and HTML formats. Further, DPCI implemented Atomik Roundtrip and leveraged Microsoft Word 2003s native XML support to offer full end-to-end intraconversion of content from Word to QuarkXPress to Web and back again. This cost-effective solution now allows The Fed to create content once then publish to any media in any format. DPCI has been great to work with. The training and service they provide is top-notch. Customer support is amazing, they get back to you quick and get your questions answered.